Home » Featured » SXSW 2017: Tribu Baharú! 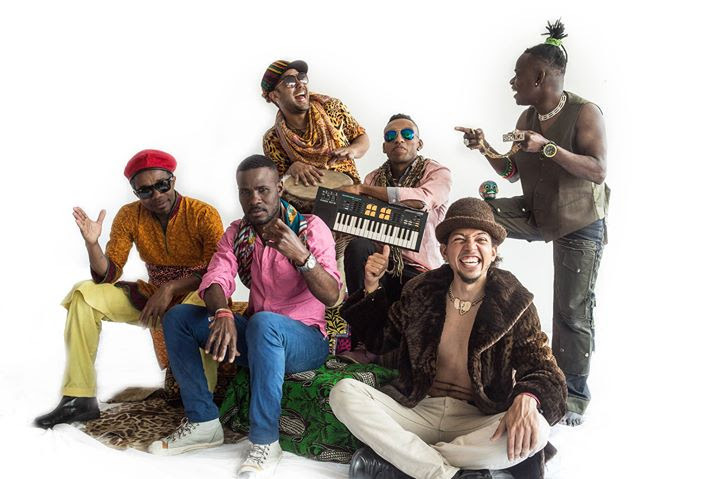 Hailing from Bogotá, Colombia, Tribu Baharú is an afro-champeta music crew whose sound has evolved from the Colombian Caribbean and is influenced by the “Pico” (sound system) culture of Barranquilla and Cartagena. Champeta is a term that refers to a knife used by fishermen to remove fish scales and has been used to describe the music of Colombia’s Caribbean Coast that have taken it’s influences from Colombian folk music, Central African Soukous-Rhumba (congo), Soweto Township-Jive, and other Carribbean originated musics such as zouk, calipso, soca, compa and reggae. Founded in 2009, Tribu Baharú has evolved to become – arguably – the most important Afro-Champeta ensemble on the current international scene. Watch a full performance of Tribu Baharu concert at The Kennedy Center in Washington, HERE.